Starting at $6620 + FREE SHIPPING! Starting at $7195 + FREE SHIPPING! Starting at $7770 + FREE SHIPPING! 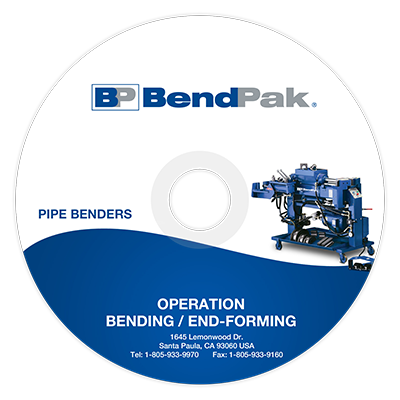 Optional 6-piece, 3" die package extends the bending capabilities of your BendPak pipe bender. Starting at $780 + FREE SHIPPING! Starting at $635 + FREE SHIPPING! 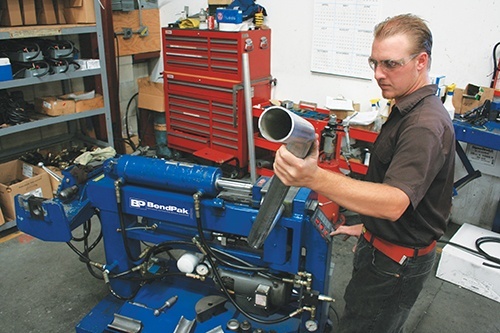 Integrated into each BendPak pipe bender are industrial-grade hydraulic cylinders that feature a single-piece, pilot-fitted, machined steel piston wrapped with specially designed, pressure-loaded U-cup piston seals, backups and wear bands that entirely eliminate fluid bypass. 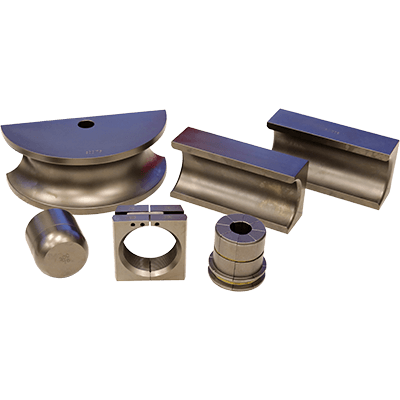 The micro-smooth chrome rod is machined from high-yield, ground and polished C-1045/50 micro-alloy steel and plated to a minimum of .001" diametrically to ensure superior cylinder operation and life. The superior, high-durometer, mechanically-loaded rod seals make rod leakage a thing of the past, while a specially formulated abrasion-resistant urethane rod wiper provides exclusion protection. The welded cylinder body is made from robust steel tubing produced to exceed ASTM specifications. 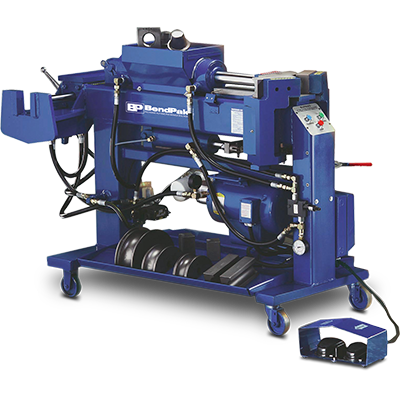 This combination of superb base material and superior processing ensures that the cylinders remain straight, smooth and last a very long time. 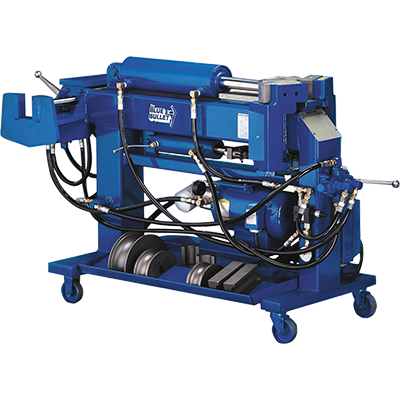 An integrated flow restrictor provides a controlled descent in the case of an unexpected hose rupture.